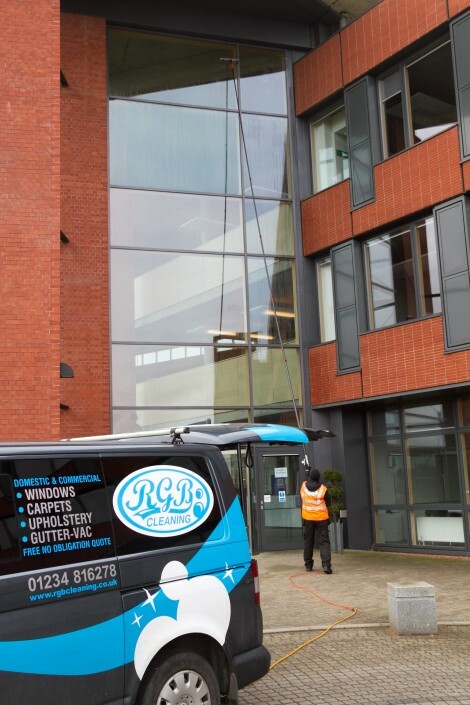 At RGB Cleaning we aim to deliver crystal clear, commercial window cleaning results using the most reliable modern methods. 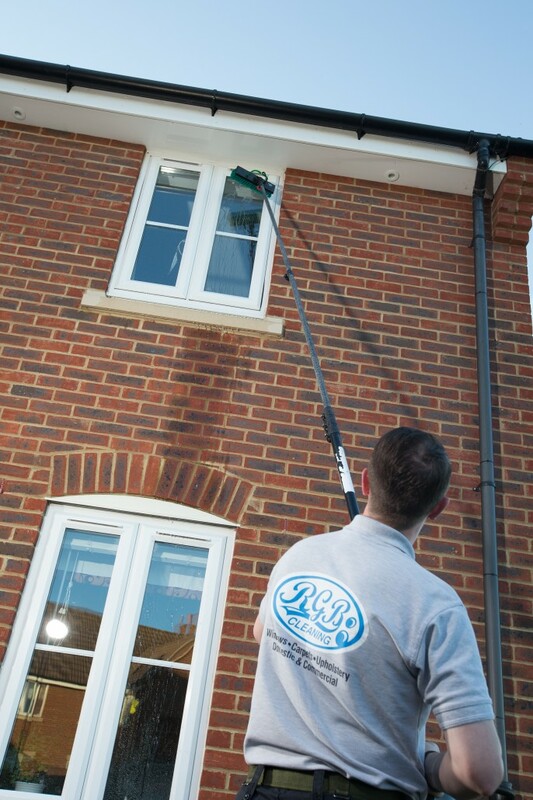 Our aim is to provide your business with the most prompt, personal and professional service around. 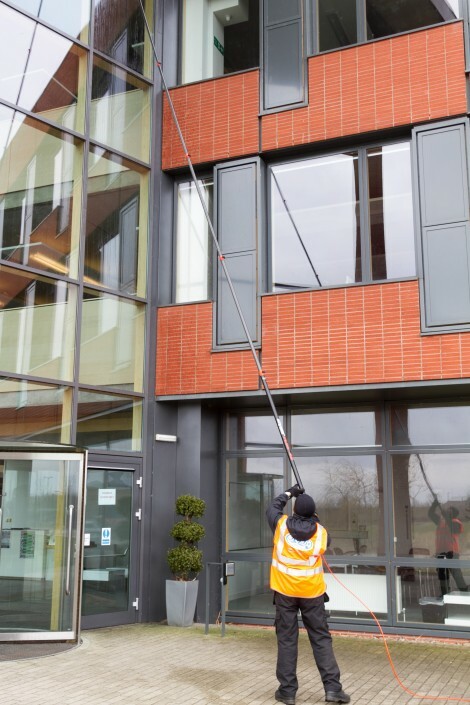 We ensure that your business, school or office is provided with a fully comprehensive and detailed clean – cleaning all window frames and doors as standard – with RGB there are no hidden extras or charges. 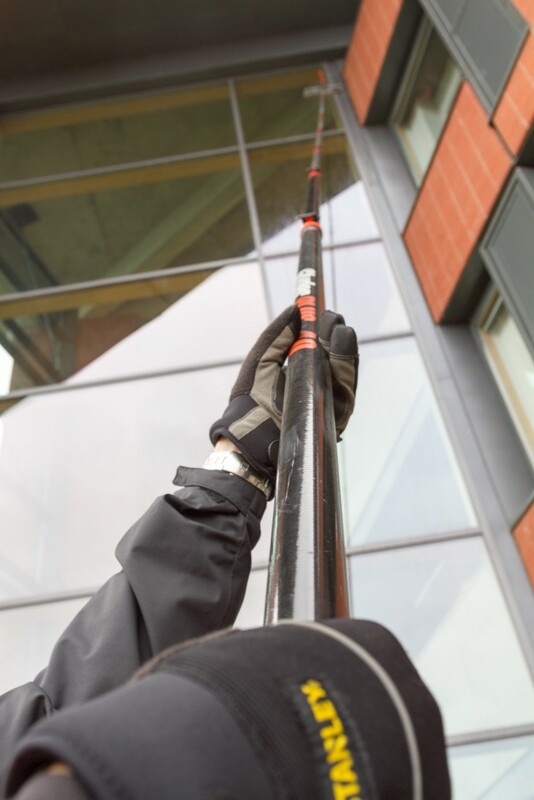 When it comes to commercial window cleaning, 90% of the work we complete is done using a water-fed pole, meaning that we have the ability to reach up to 40 feet in a safe, controlled and professional manner. 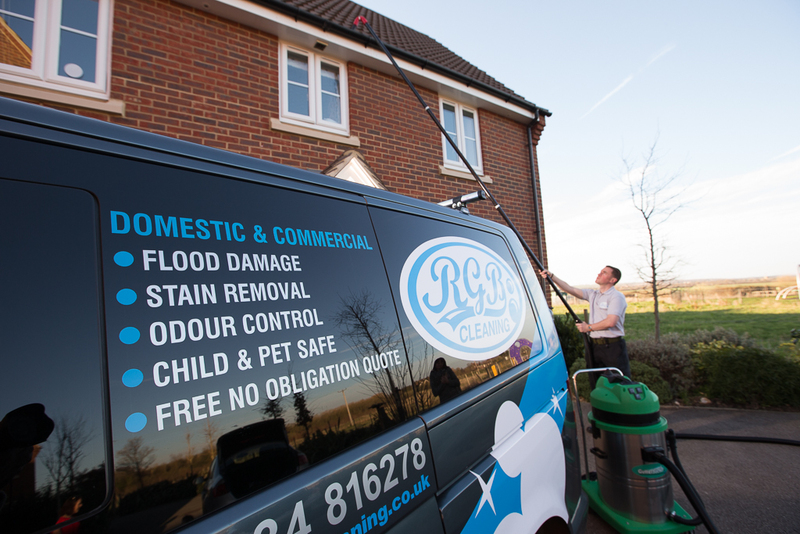 RGB cleaning take pride in the service we deliver; that’s why you’ll find that the water we use is 100% pure – lacking the chemicals that are found in everyday tap water. As a business, we understand that appearances are hugely important, thus using pure water cleaning means that your windows dry naturally: smear and streak free. 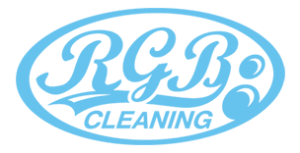 Along with a fault-free, approachable and flexible service, at RGB cleaners we also pay the utmost attention to safety regulations – understanding that businesses have reputations to uphold. 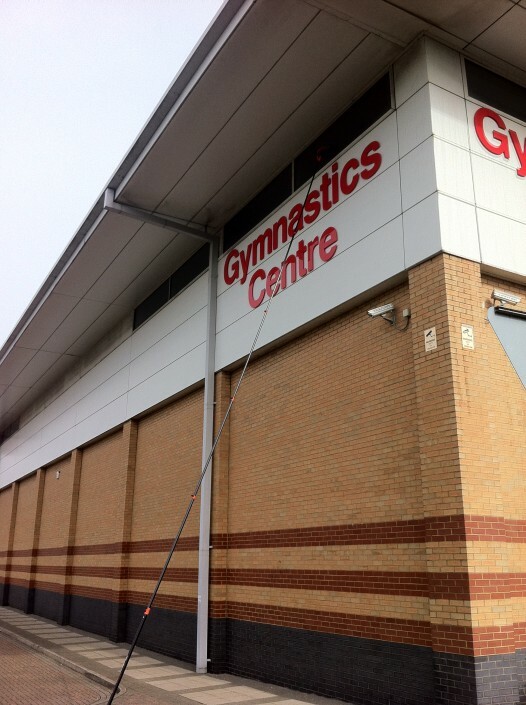 For this reason, we ensure that we are fully trained to use the water-fed poles reliably and safely. All of our methods to comply to the Health & Safety Executives Working At Height Regulations 2005 & 2007 (amendment). 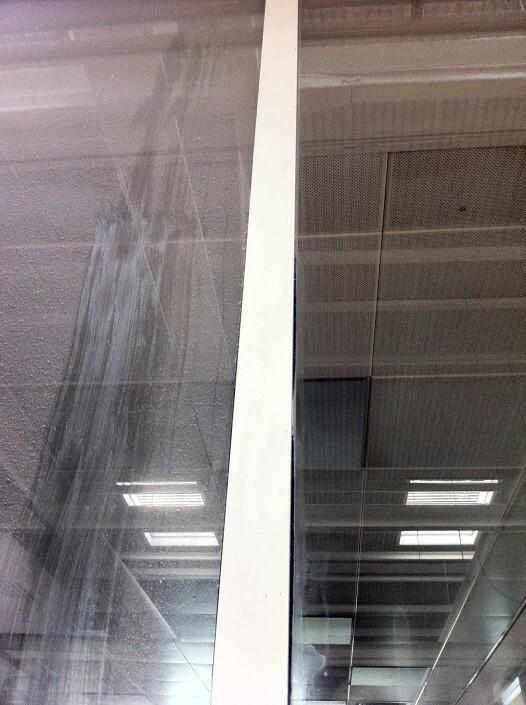 Besides the modern technology used, RGB cleaning has tradition at heart. 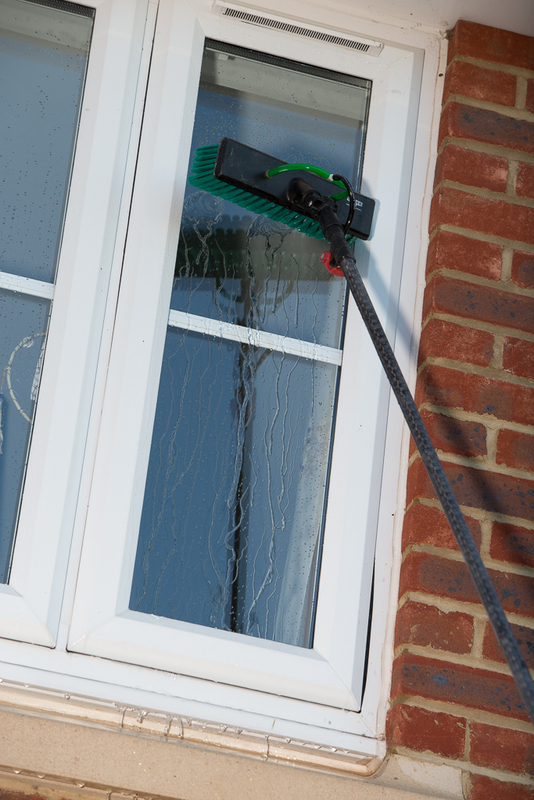 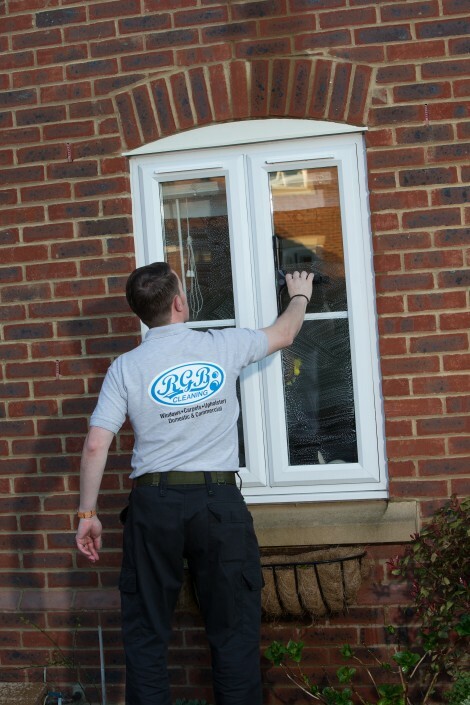 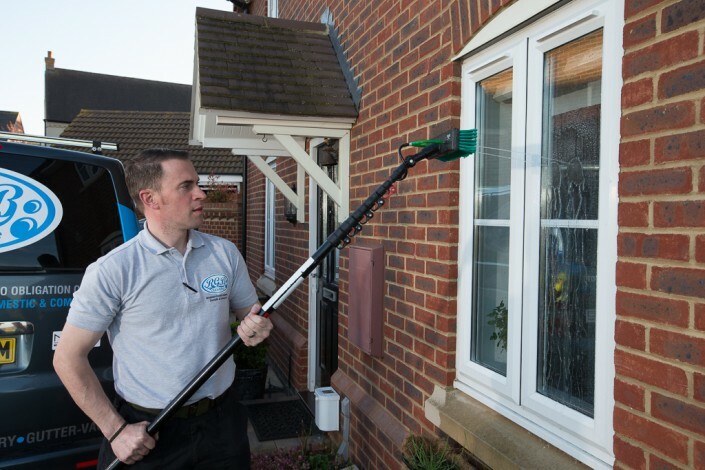 For this reason, it is important for our customers to understand that we are fully flexible and equipped to utilise traditional window cleaning techniques. 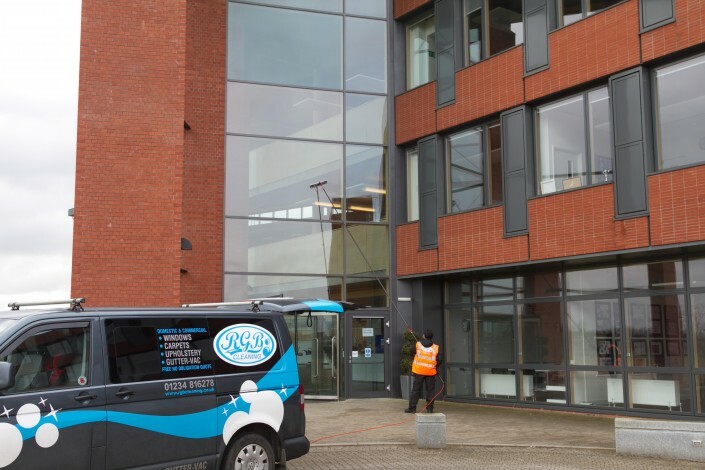 Our aim is to give you the best service – tailor made for your business needs and entirely at your convenience. 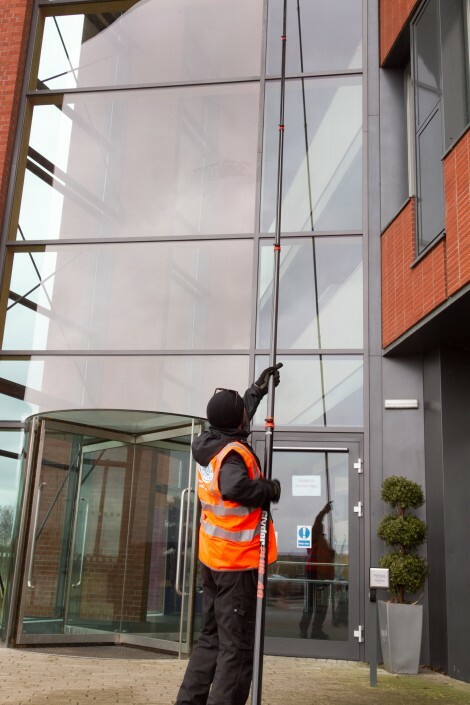 We are experienced in the cleaning of shop fronts, commercial properties and internal window cleaning. 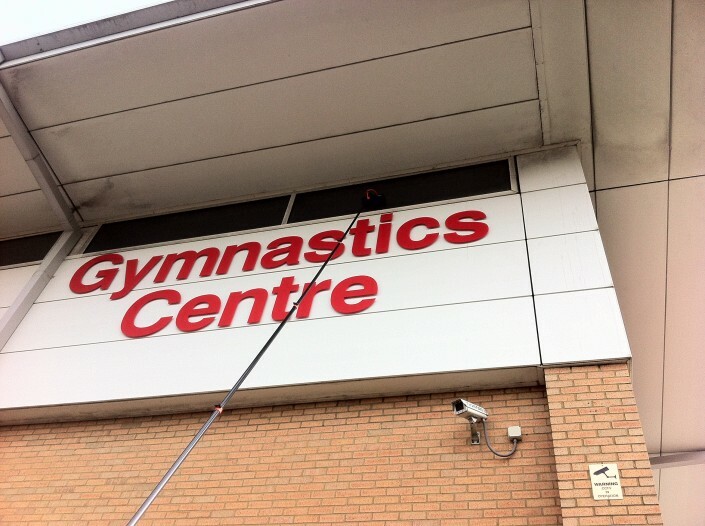 For RGB cleaning, there is no job too big or too small – and no customer too ‘picky’. Perfection is our practice! 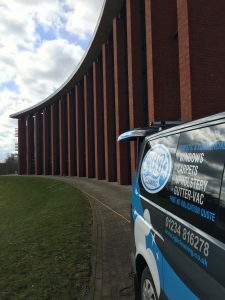 So if you’ve been searching for commercial window cleaning Bedford or commercial window cleaning Milton Keynes stop looking, You’ve found the best.